Students will understand what a carbon footprint is and how it is calculated. What part of the world do the Preslers and Langes represent? What part of the world do the Handa and Sharma families represent? What part of the world do the Maurice and Nicodemus families represent? Where does most of the energy used by the post-industrial world come from? What happens to the carbon footprint of countries as they become developed? Why would using electricity increase a Carbon footprint? 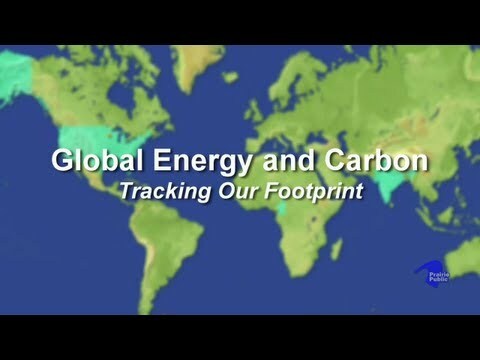 How does energy use effect the carbon footprint as a country develops? What is used to supply heat for water and cooking as well as the home itself in most homes in a developed country? Which of the following is NOT part of the carbon footprint of a typical family in a developed country? How much of the world lives like we do, in a post-industrial (developed) country? How much of the world's energy does the United States use? How is the growth of the Carbon footprint of post-industrial countries described? How is the growth of the carbon footprint of rapidly emerging countries? What country has the biggest carbon footprint? What type of economy has the smallest carbon footprint? What do you think your carbon footprint is like? How do you think you compare to others?